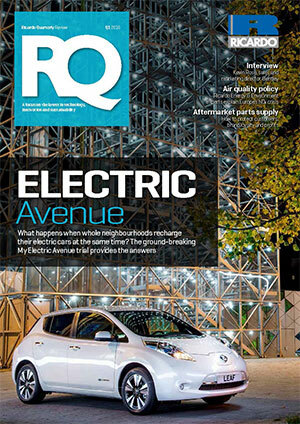 Electric Future: My Electric Avenue was a ground-breaking project to assess the effect on local electricity networks of large numbers of electric cars plugging in at the same time, and how problems might be alleviated through demand management technology. 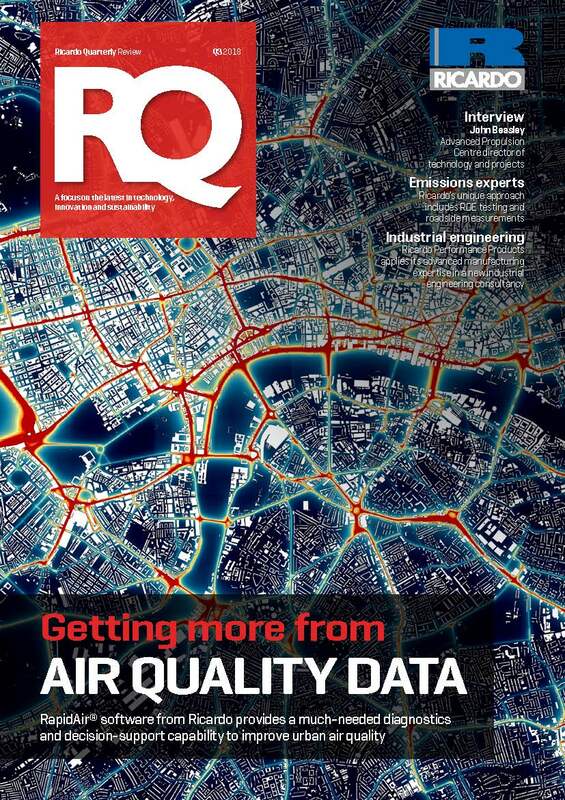 Air quality champions: Street-level air quality is at harmful levels in many European cities, with excess NO2 a critical issue, according to experts at Ricardo Energy Environment, who explain how this problem has arisen and how it can be solved. Aftermarket game-changer: Cars now last longer but model changeovers are becoming more frequent, posing a big challenge for the traditional aftermarket business of the large automakers. A white paper by Ricardo Strategic Consulting outlines new strategies to protect customer satisfaction, brand loyalty and profits. Interview: Following the launch of the Bentayga super-SUV, Bentley sales and marketing director Kevin Rose speaks about diversification and the global outlook. 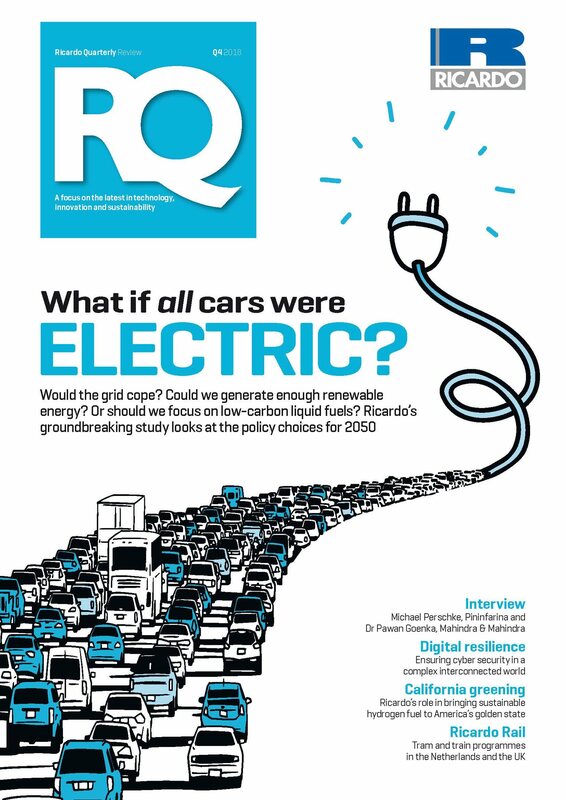 RQ viewpoint: Ricardo Energy & Environment’s Professor Cliff Walton argues that power distribution networks will need to become smarter to cope with an influx of electric vehicles. Read online. 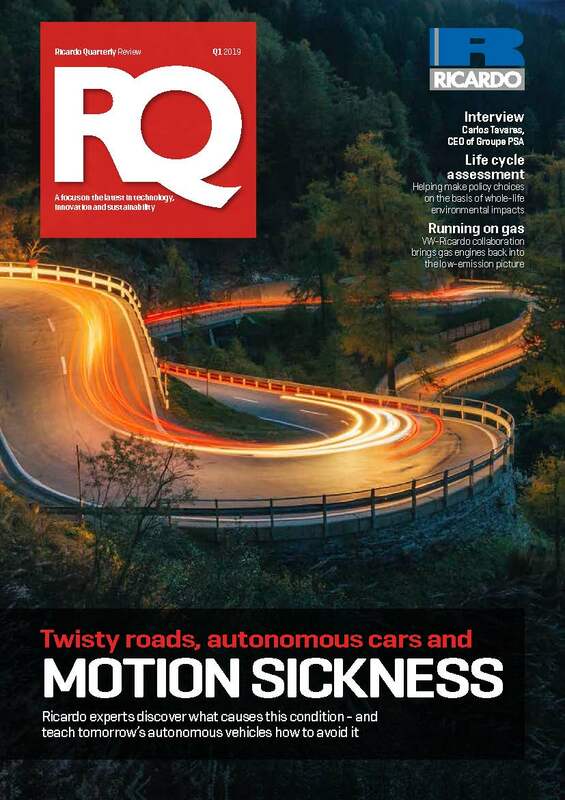 Ricardo news: Ensuring safety of autonomous vehicles; Heritage Centre on schedule; nanomaterials review; natural gas HGVs for California; engine production facility expansion.